Naturally ventilated crawl spaces have a habit of harboring moisture. One of the most readily visible signs of a moisture problem in the crawl space is the seasonal or year-round cupping of hardwood floors. The cupping floors may just be an indicator of a more serious issue – excessively high moisture that can cause serious structural damage to your home, or worse, create mold-related health concerns for you and your family. Homeowners may also be alerted to high humidity/moisture in their crawl space by their pest control/termite bond company. In addition to elevated moisture being an attractant for insects, many termite bonds are voided if excessive moisture is present. GLS Engineering can inspect moisture and mold conditions in your crawl space and determine if corrective action is necessary. We are not trying to sell you mold remediation, encapsulation or moisture control services, so you know you are getting an unbiased professional crawl space inspection. We often suggest that mold samples be taken in conjunction with the crawl space inspection to determine if unregulated humidity in your crawl space may be negatively impacting the interior of the home. This is particularly important when HVAC equipment and/or HVAC ductwork is located in the crawl space, or if occupants are experiencing suspect health-related issues. 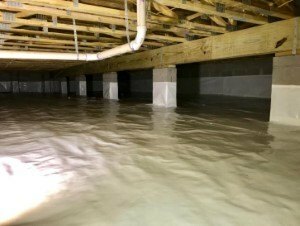 GLS Engineering is uniquely qualified to provide the most professional, unbiased moisture inspection of your crawl space. We are mechanical engineers that concentrate almost exclusively on moisture, building envelope and indoor air issues. Should corrective measures be necessary, we can recommend highly-qualified, personally vetted contractors and certify the crawl space upon project completion. Considering a Sealed Crawl Space? An encapsulated crawl space can be a great improvement and provide many benefits to a home. But there are serious issues that need to be considered. 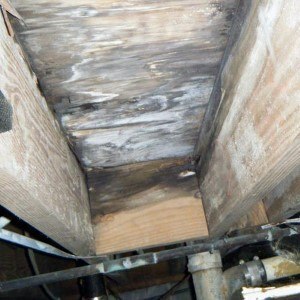 GLS En gineering has extensive experience with sealed crawl spaces knows all of the issues that need to be considered. That “Free” inspection from the Crawl Space contractor may cost you thousands in unnecessary work; choosing an unqualified contract could cost you even more! Let us help you avoid costly mistakes and ensure that you get a quality encapsulated craw space that is both functional and cost effective. Should you choose to encapsulate base on our recommendations, we will certify the crawl space upon project completion as an Engineer-Certified Crawl Space.